With more than 20 years’ experience in financial management, accounting and staff management, Chris McCurdy manages the day-to-day operations of Dixon Advisory’s SMSF Accounting, Compliance and Administration team. 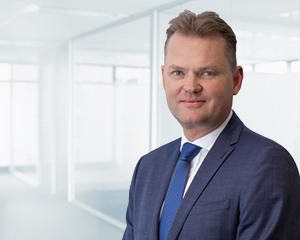 Based in Melbourne, Chris oversees the firm’s 80 self managed superannuation fund staff who assist more than 4,500 client SMSF portfolios across Australia. He ensures staff draw on the expertise of the highly regarded Technical Services team so Dixon Advisory’s SMSF accounting is of the highest standard. Chris is also a member of the senior team in the Melbourne office that manages Dixon Advisory’s services to clients in Victoria, Tasmania, South Australia and Western Australia. Chris attributes the success of the business to having the right people, technical expertise and systems in place. He has always spent considerable time on recruitment and training to ensure the firm has the best possible team to service clients. Dixon Advisory being awarded by Financial Review Smart Investor as “Number One SMSF Provider” in 2015 is testament to this commitment to quality. Other previous honours include winner of “Service Excellence” at the Australian Business Awards in 2013 as well as “No. 1 SMSF provider” by Financial Review Smart Investor magazine in 2012 and 2011. According to Chris, the people-oriented nature of his role is a highlight of his position. As the Head of Superannuation and portfolios, he meets many new clients personally and sees this as a vitally important part of his role. Chris believes strongly in the quality of Dixon Advisory’s services, investing in line with Dixon Advisory Investment Committee’s recommendations and using the firm’s SMSF service. Before joining Dixon Advisory in 2007, Chris held a wide range of financial management and senior accounting roles in Australia and the UK including roles with companies such as ADI Limited, British Telecom and Orange. Chris has a Bachelor of Commerce from the Australian National University and has been a member of CPA Australia since 2000.